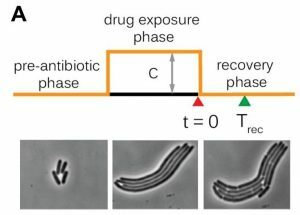 When E. coli bacteria are physically distressed, they switch to stress mode and postpone cell division. But they still keep on growing, thus forming long filaments. 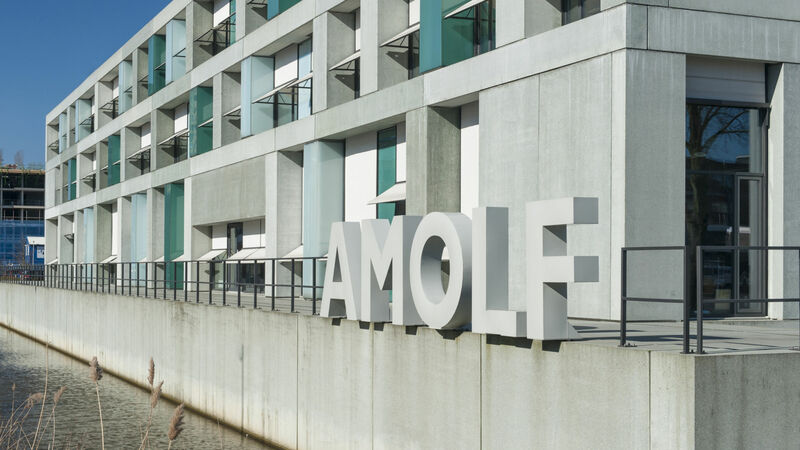 AMOLF researchers discovered that these bacteria ‘know’ how long they are, which enables them to move protein rings to the sites where they will have to divide once the period of stress is over. The researchers involved published their findings in Current Biology, on 1 March 2018. Caption 1: (left) Under normal circumstances E. coli bacteria maintain a stable size. When a bacterial cell has lengthened by a fixed amount, it divides into two. (middle) When stressed (e.g. when exposed to high temperatures or antibiotics), the bacteria continue growing but stop dividing. These elongated cells contain multiple copies of their DNA, as well as division rings that change position as the bacterium grows. (right) When the period of stress has passed, the filamentous E. coli bacteria start dividing again, producing smaller cells. The location of the division sites is entirely dependent on the total length of the bacterium. Caption 2: Under normal conditions, the Min system helps E. coli cells to divide at the right place. The cell cannot divide at sites where Min proteins are present. 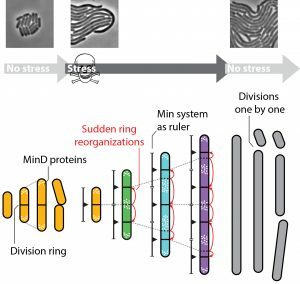 When stressed, the cells form filaments and the Min system becomes the ruler that spaces out the division rings. When the period of stress has passed, the cells start dividing again.